And then I do the dishes: Happy, Happy Birthday Baby! Today is Olivia's Birthday, she's one year old, imagine that! It seems only yesterday I was holding the tiniest little girl in my arms and now, she's just about to start walking around! All you mothers out there will know what I mean when I say that they really do grow up too fast! Since Olivia and I share the same birthday, I also get to be a year older today, 35 years old to be exact. It feels weird saying that, I don't feel 35, but then again, what should 35 feel like? I guess it's different for everyone. Since I don't want to dwell on the fact that I'm getting older, ahem, today is going to be all about Olivia! I'll be posting our birthday desserts a little later this week, I can't tell you everything today, where would be the fun in that! 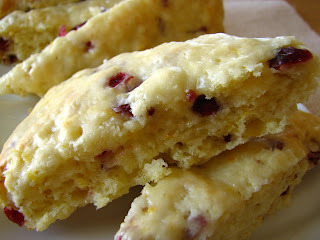 So I leave you with our birthday breakfast, a sweet treat in the form of Cranberry Orange Scones with an Orange Glaze. I'm sending this over to Helen, otherwise known as the lovely Tartelette, for Sugar High Friday #43-Citrus. Hope you all have a wonderful day! In a large bowl mix flour, sugar, baking powder and salt. Cut in butter until mixture resembles coarse crumbs. Add cranberries and orange zest. Add milk, one egg and one egg yolk (reserve the white). Mix until blended. Drop dough onto a lightly floured surface and knead delicately about 20 times. With floured hands pat dough into a 1/2 inch thick circle. Transfer to a parchment paper lined baking sheet and with a sharp knife, score dough into 12 slices (as with a pie). Brush top with reserved egg white and sprinkle with additional sugar. Bake in preheated 425°F oven for about 20 minutes. Serve warm, topped with glaze. Sift confectioner's sugar into a bowl. Add orange juice and mix until thoroughly blended. Add more orange juice to adjust the consistency. Spread onto scones. If only I could have one of those scones as I sit here with my morning coffee. They look delicious. I haven't had much luck with scones - perhaps I'll give these a try. And I know what you mean about kids growing up fast, my daughter is turning 9 shortly, and what's scary is I remember being 9 myself, vividly! Happy Birthday and enjoy that sweet girl of yours. Oh my gosh, she's adorable! 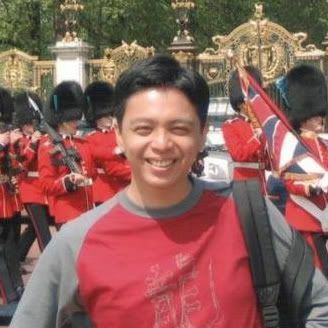 What a great big smile! My Olivia is now 11, and it's flown by like the blink of an eye. Happy Birthday to little Olivia and to you! Happy birthday to the two of you, Lyb! Olivia is adorable. And yes, they do grow up too fast. Happy, Happy Birthday to you both!! Olivia is just adorable -- love the pigtails. May you both have a wonderful year ahead! Happy birthday to the both of you! 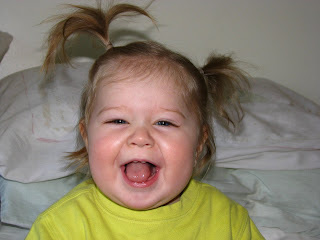 Your daughter is just adorable, so cute and what a gorgeous smile she's got. Hope you both have a super, super day!! Happy Birthday to you both!! She is adorable! And I know what you mean. My daughter turned 4 yesterday and I still can't quite wrap my brain around it. It does go too fast. Enjoy it all! Happy birthday to you and Olivia! My goodness, she is adorable!! What a wonderful birthday present for you! Hope you both have celebrated a wonderful happy birthday! I hope you both had a wonderful birthday! It was certainly off to a good start with those scones! Happy birthday to both of you! What a cute little bunny! 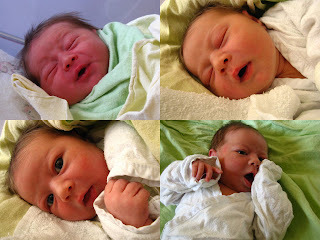 My daughter Diane just turned one a few days ago too, and yes, I can't believe how time has flown. She seems a lot younger than your daughter, as she has almost no hair. But she's about to walk too! Happy birthday. 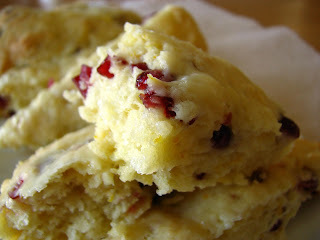 Orange and cranberry is a great combo for scones. Your daughter is BEAUTIFUL!! Happy birthday Olivia and to you! Happy Birthday to you both! My little guy just turned 16 months and you're right... it goes SO fast! Happy birthday to you and your sweet babe! Yes, time does fly by all too quickly. Try to remember to enjoy the moments. Your scones look fabulous; the perfect way to start off a birthday. Happy belated Birthday! Sorry I am not around more lately, I have got the family for a couple of weeks, but guess what? They will get a plate of your scones for sure! Thank you for participating! Happy Belated Birthday to both you and your little darling! She is a living doll! Sorry it took me a while to get here. Last week was hellish! She is sooooo sweet with those cheeks. What a beauty! Ooooh, your scones are positively gorgeous! Such a perfect creation for SHF! I perked up as soon as I saw your entry - I do adore scones! What a sweet post! The pig tails photo is darling. And those scones! I have been a bit obsessed with finding the perfect citrus scone recipe. I've been cranking out lemon cherry scones myself (wish I had known about SHF in time to submit) but now I'll have to give these a try. I just did your recipe (with preserved seedless plums in lieu of the dried cranberries) and it was wonderful!